Carol has the new Education Carnival up and running this week over at her place at Bellringers! My post, League Parity, is up, along with several other fun fall festival-ly posts! 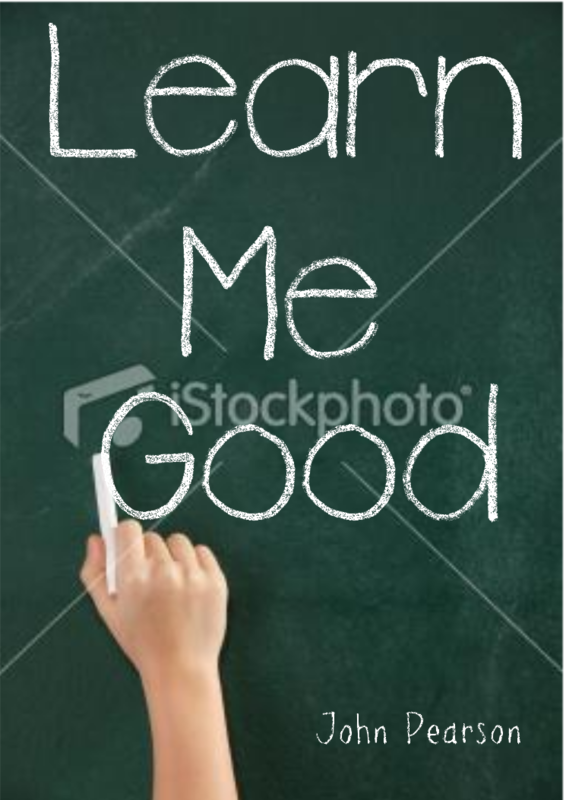 Recently, George Landes at Texas Teachers contacted me to ask if I would be interested in showing off a widget on my blog that showed salary grades for new and current teachers in Texas. I said sure, show me what ya got. Here's some literature that he sent me, along with the widget itself. Go ahead and play with it. It's pretty neat. Texas Teachers, the state’s largest alternative certification program, has just launched a new online salary tool that can be embedded on any website, blog, or Facebook page. The free tool provides the latest salary information for Texas school districts and allows Texas teachers to easily access salary information that was once located in multiple locations on the Internet. To make this information more accessible, Texas Teachers consolidated salary schedule information and spent several months developing the tool, which is available for public download via embeddable HTML code. The tool currently has approximately 316 ISDs represented in the tool’s database. Texas Teachers will be adding salary information throughout the year and welcomes districts to submit their salary schedule to be included. 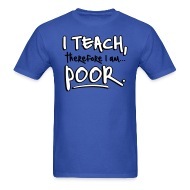 To use the tool on your website or blog, visit http://www.texasteachers.org/resources/texas-teacher-salaries/. Simply copy and paste the embeddable HTML code into your blog or website. Note: Texas Teachers will be adding functionality to the tool that allows for custom sizing of the tool. As part of my initiative to get back into being more involved with this blog, I am instituting "Tuesday Tip o' the Hat" -- a feature where I will link to a particularly relevant or inspiring post from somewhere else on the web. Today's inaugural web link comes courtesy of Ed U Cater, who is one of this semester's Teacher Voices contributors for the Dallas Morning News. His column this week is about the importance of recess, and the detriments of not having it. If your school still gives kids their recess then consider yourself lucky, because many school have taken it away altogether. Ed's column is definitely worth a read, and feel free to leave a comment either there or here. I'll be sure he gets it. I've been feeling lately like I haven't been contributing enough to this blog. 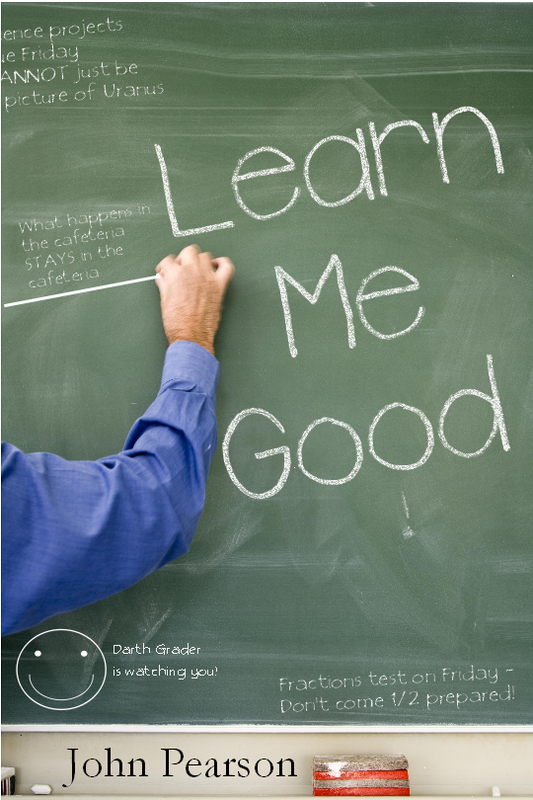 Or that when I HAVE, it's mostly been about Learn Me Good the book. 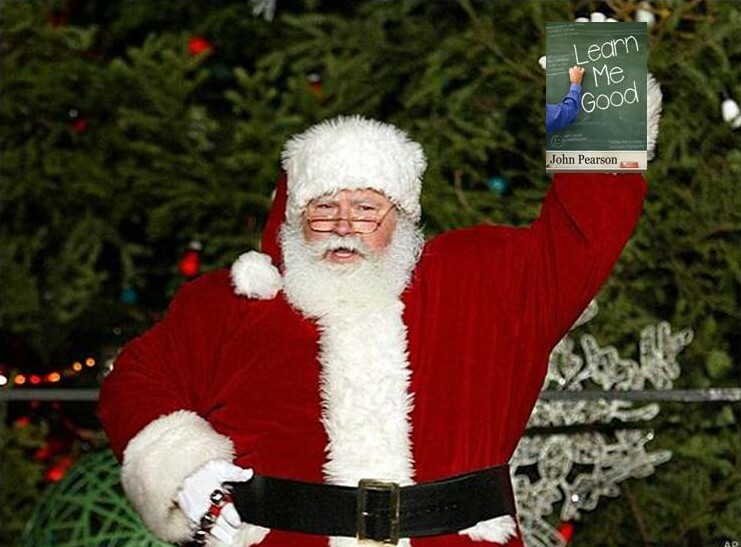 Not that there's anything wrong with touting the book. That IS, after all, why this blog was started in the first place. 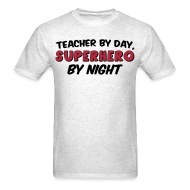 However, I feel I haven't been balancing that enough with actual school and teacher related "stuff." So I'm ready to remedy that. To get back into a regular routine, I am bringing back an old favorite -- Interactive Mondays! Every Monday, I will pose a question, and I hope that you the reader will contribute your answers, thoughts, and ponderings. 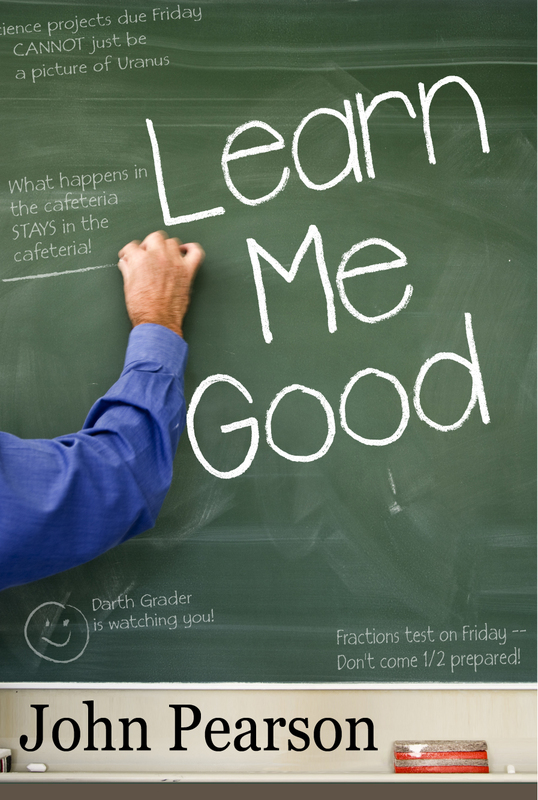 This week, the question is What mnemonic, or memory trick, have you found helpful in the classroom? 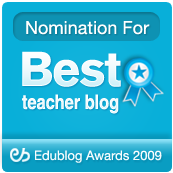 This can be helpful as a teacher, OR helpful to you yourself when you were a student. I posted recently about a new little ditty I had learned to help the kids remember when to regroup during subtraction. The more we use it, the better it gets. The kids are remembering to use it, they're remembering how to regroup, and they're even (gasp) remembering the rhyme! I've also had a lot of success with the "Punch it up" strategy for rounding. If you have 5 or more fingers, you can punch it up to the next nearest 10 or 100 or whatever. If you have less than 5, you can't make a fist, so you have to drop it down to the lower nearest 10 or 100 or whatever. For symmetry, I like to get a bit goofy and use a Toy Story reference. I have the kids imagine Buzz Lightyear, and how he has the same costume parts on both sides of his body -- wings, helmet, boots, etc. Then we practice the mantra -- "To the Symmetry, and Beyond!" -- and I get to do my best Tim Allen impersonation. So now I turn it over to you. What memory tricks have worked for YOU? 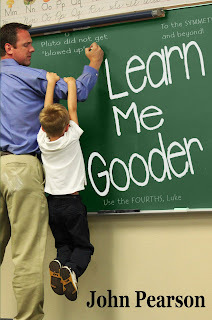 Learn Me Good is today's sponsor for the Free Book Alert at Kindle Nation Daily! "Kindle Nation Daily Free Book Alert, Monday, October 25: Four Free "Star Wars: Lost Tribe of the Sith" Books to Get You Ready for Star Wars: Lost Tribe of the Sith #5: Purgatory, plus an undiscovered gem: John Pearson's Learn Me Good (Today's Sponsor), and over 100 other fully updated free Kindle ebook listings http://bit.ly/bXKspk"
Hopefully, this will help to boost sales, at least for a bit. Wish me luck! Tutoring began today, and much like the beginning of the universe, there was a great ball of chaos. I got my paperwork taken care of yesterday. 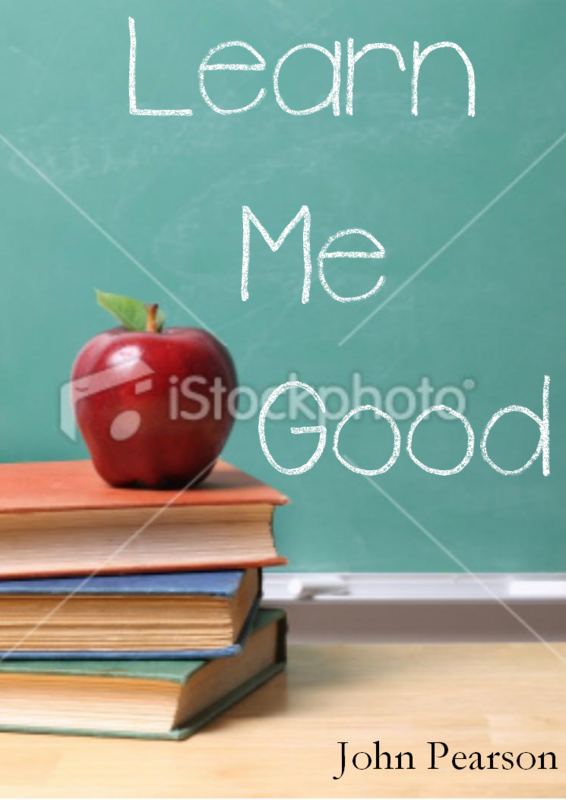 Got the names turned in, my lesson plans, their bus assignments. Of course, I didn't get them turned in on time, per se, but that's what happens when the email request comes at 8:34 am, and the deadline is set for end of the school day. I felt like sending an email back saying, "I was TRYING to read and send emails, but these pesky kids kept bothering me with questions!" But at any rate, I got all that turned in. Then today, right before 3:00, we got an announcement over the loudspeaker: we could NOT clock out and log in for tutoring right after school, like we've always done. 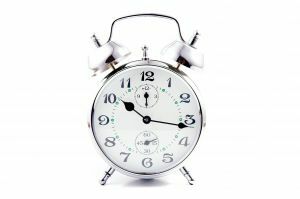 We would have to wait until 3:45 to clock in. This would necessitate leaving the tutorees unattended mid-stream in the room while we walked down the lengthy corridors to scan in our thumbprints, but we were advised that our neighbor would probably be happy to watch our kids for us while we did that. Oh, and there would be no snacks. Actually, I managed a loophole around that one. I just so happened to have a few bags of chips left from a homework reward celebration last week, and a couple of the kids had their own bags of chips in their backpacks. So everyone DID get a snack during tutoring, at least in MY group. The actual tutoring session was great. I only had 5 kids, and they were wonderful. They were doing all of the work correctly and with the right steps, and really getting into it. Getting them out to the buses resumed the chaos. The kids had been divided into 3 buses. But only 2 buses showed up. The 3rd was rumored to be making a high school run and might be 15 or so minutes late. I brought my kids from that 3rd bus back into the building to wait, only to discover that the school's power had gone out and all the lights were off. The last bus finally came. Or maybe it was the 2nd bus discovering they had more room, I didn't really notice. At any rate, all of the kids got home safely, and I was able to go home. 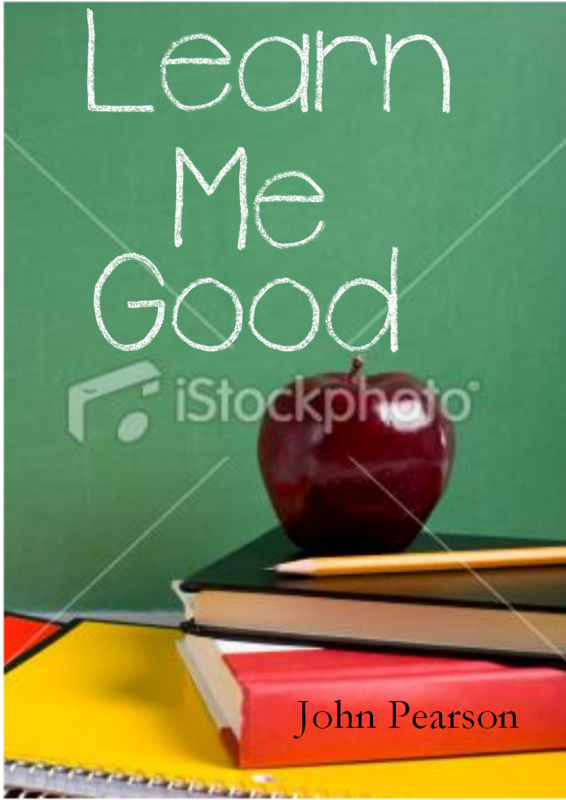 And thus began tutoring for the 2010-2011 school year. Maybe Thursday, we'll throw a helicopter into the mix. 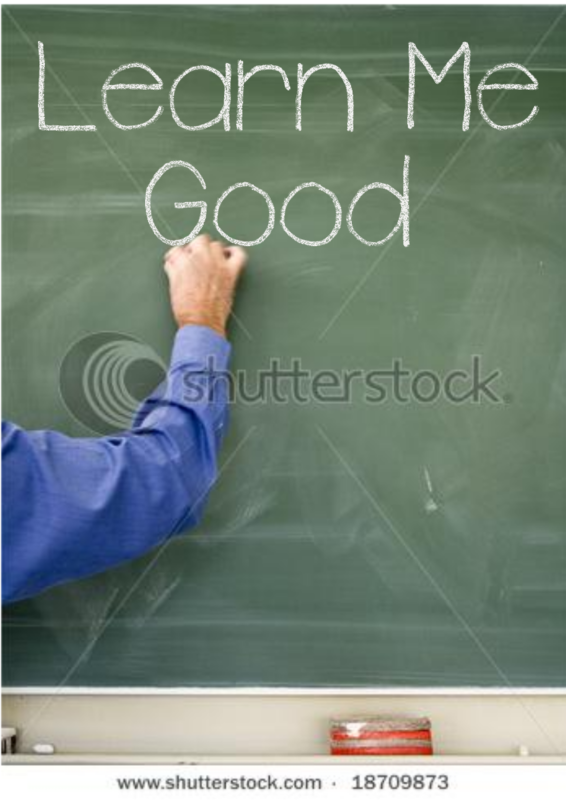 Joel, over at So You Want to Teach, has put together a list of 50 Teaching Tips. Some are pretty universal -- "Choose your battles," "Establish a constant routine" -- and some are much more specific -- "You need to teach fundamental technique before you can presume to teach musicality." But all of them are worth a perusal and possibly a usal. Today before I left my classroom, I took care of my kids' Thursday folders. Thursday folders are these folders that we send home on... you guessed it, Thursday. This is when we send home graded homework, old tests, fliers from the school, etc. The kids are supposed to bring back their folders on Friday so that the teachers have them for the following week. It has been my experience that many kids often do NOT bring them back, so I devised a motivational system long ago that has worked pretty well. I can sum it up in one word -- Stickers. If a child brings back their folder the next day, with all of the old papers taken out and left at home -- as they are supposed to -- I put a sticker on their folder that they can either leave as decoration, or take and put somewhere else at home. The kids love stickers, and their faces light up on Thursdays as they see what new sticker they got. Today, I was using a sheet of stickers that I got from a Sports Illustrated promotional mailing. 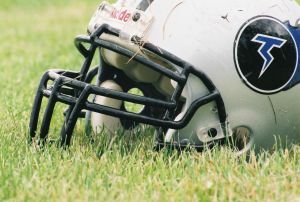 It has square stickers with the image of a helmet from each team in the NFL. As I neared the end of my stack of folders, I happened to notice a correlation between the helmet I was about to affix and the girl whose name was on the folder. It was the San Francisco 49ers helmet. The 49ers are off to an 0-5 start this year, and they just can't seem to do anything right. Incidentally, the folder I put it on belongs to a girl who has been bombing her tests, has gotten off to an awful start, and (at least on tests and homeworks) just can't seem to get anything right. Curiously, I looked back at the other folders to see if any other connections had been made. I was surprised to find several. The girl who got the Green Bay Packers sticker started off the year very well and by all indications, looked like she would be one of my higher students. However, in recent weeks, she seems to have suffered a concussion, and her work has gone downhill. The boy who got the Jacksonville Jaguars sticker is widely acknowledged by all teachers as one of the lower achieving students. Yet he has a lot of spirit, he puts a lot of effort forth, and he occasionally has moments of brilliance. The boy who got the New York Jets sticker brags a lot about how great he is. Today, we began our unit on subtraction. It seems weird to even say that, as I (still) feel that 3rd graders should know how to subtract BEFORE entering 3rd grade. However, at my school, they often don't, and even when they know the basics, they don't regroup (borrow) correctly. Or in some cases, at all. The kids often just invert things in their minds. If the ones place says 2-7, they turn it around and compute 7-2. If it says 0-4, well that's easy, it's 4. After all, 4-0 is 4. 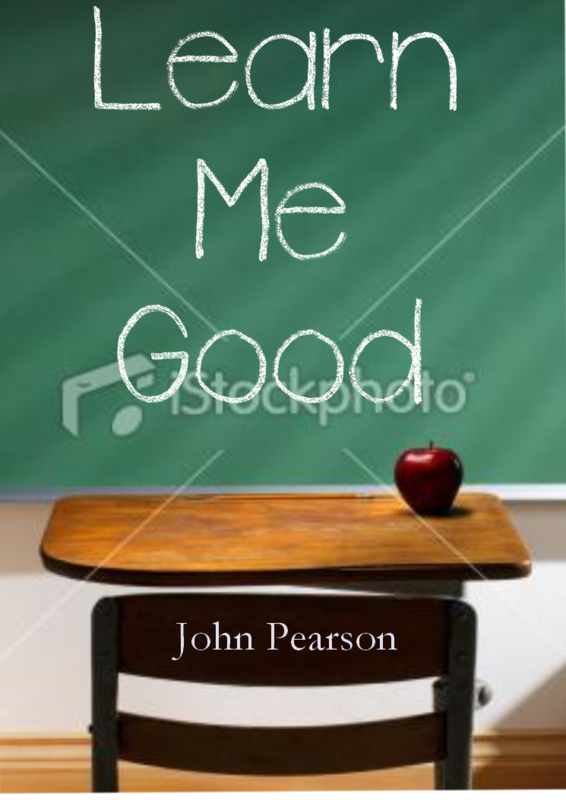 But things went pretty well today, when I shared a rhyme with them that I heard at my session on Friday. This is a rhyme that I'm sure has been around forever, but for whatever reason, I had never heard it before. Last year, I had success with my own made-up, "Tiny Top vs Big Bottom," but that hasn't seemed to stick this year. However, the kids really liked the new rhyme. If there's more on the top -- No need to stop. If there's more on the floor -- Let's go next door -- and get ten more. If the numbers are the same -- Then zero is the name. The kids loved it when I said that. Now getting THEM to say it proved a bit challenging in some cases. When they would tell me I needed to regroup on a problem, and I asked why, some of them shouted, "The top is smaller!!" When I tried to get them to recite the rhyme to me, I heard a few mishmashes including, "If there's more on the bottom, let's go next door. And get another ten." OK, so in the ELA block, we'll work on what makes a rhyme. Still, once we got into it, things went pretty well. Hopefully, this will help the procedure stick for when we're not just focused on subtraction. 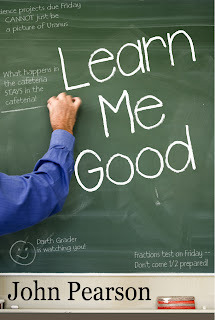 My new cover is finished and up on the Kindle page for Learn Me Good! I am so stoked! It will be a couple of weeks before the paperback copies change over to the new cover, but I still just think this is so cool!! This week has been, and will continue to be, pretty messy. We're giving Benchmark tests (or as I call them, the dreaded BMs) through Thursday, and that really throws a monkeywrench into our teaching time. So I haven't had as much time to work with the kids as I normally would. However, I have been really pleasantly surprised by how well my kids are getting the concept of rounding, especially given the shorter class periods. Yesterday, I introduced it to them, and, as is often the case, they acted as if they had never in their entire lives heard the words "Estimating," "Estimation," "Rounding," or "Math." (OK, Math they had heard of.) We started discussing why anyone would want to use numbers that weren't exact, as in the case of shopping. I read them a story about 2 kids using estimation to win a jelly bean counting contest. The story was called, "Betcha," and I had to carefully state up front that this was short for, "I'll bet you -- like they are making bets with each other." I didn't want the kids who hear me say the word, "Beach," and start giggling and oohing and aahing telling their parents I was cussing them out again. Anyway, once we actually started talking about tens and how to find the closest ones in front and behind the numbers we were using, and then how to decide which of THOSE was actually closest -- things went INCREDIBLY smoothly! With only 1 or 2 exceptions, these kids got it! They were doing the steps, they were rounding correctly. They really got into the whole "Punch it up" strategy. 1 of the kids who struggled didn't understand that the rounded number needed to have a 0 in the ones place, and he was trying to round 27 to 37 or 81 to 71. But even he got the concept down today. I tried to fool them by giving them tricky numbers to round, like 95. Typically, a lot of kids will tell me that 95 is between 90 and 10 (forgetting that other 0). Not a single one of them was fooled. I gave them 7 to round. They knew that the closest tens were 0 and 10 (usually the 0 hangs them up at first). It was fantastic. So much so, that even in the short class period, I introduced rounding to hundreds yesterday. When we started practicing tens AND hundreds today, they remembered all of the steps and all of the strategy. It was great! My homeroom still continues to waste a lot of time by playing and making noises and not listening when I talk, but that's another issue. At least I feel fairly confident that rounding is not going to hold them up. At least not until the big test, I estimate. Thank you to everyone who put in their 2 cents yesterday. I really appreciate all of the feedback! The voting turned out to be just a bit rigged though, because after I posted those initial 4 ideas, I found ANOTHER photo that screamed out to me even more. This new cover makes it feel like I'm almost there on the cover myself (hey, that IS what my arm looks like, after all), and I can write whatever I want on the chalkboard. Reader AND Lurker alert! I need your feedback! 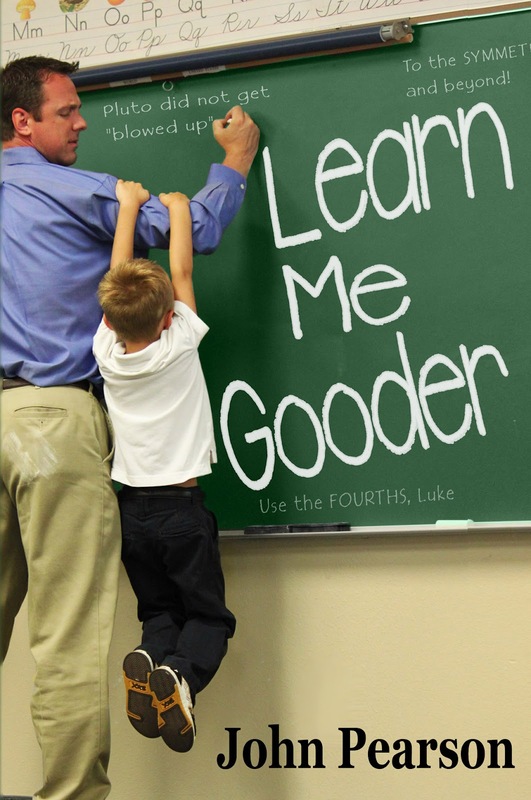 I am strongly considering changing the cover of Learn Me Good, at least for the Kindle version, and I have a few concepts that I have been playing with. All of them involve an actual, professional photograph, as opposed to the (very much self-admittedly) amateur cover that currently graces the book. Below, you will see 4 possibilities for new cover designs. Please note that the rights still belong to the artists at istockphoto, that's why their logo is prominently stamped in the center. You'll have to imagine that gone. I would really love to hear any and all feedback on these ideas. What do you like? What do you dislike? Which do you like best, if any? Why?